Have you ever felt your western saddle shifting beneath your seat? It could be due to an improperly fitted cinch. 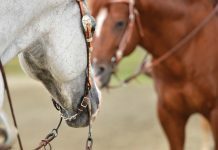 The wrong sized cinch could also cause your horse to develop a sore or gal due to pinching or rubbing. 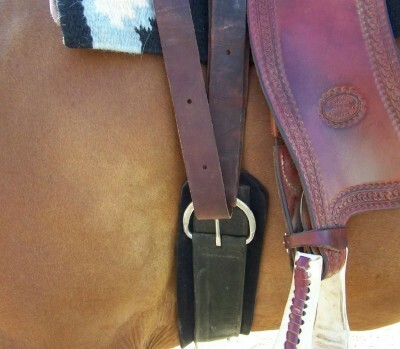 Here are some quick tips on how to get the right sized cinch for your horse. Before purchasing a new cinch or grabbing one off the tackroom wall, measure your horse’s girth area. You can do this by placing your pad and saddle on your horse and then measuring from the metal rigging ring on one side, then under your horse’s belly, and up to the rigging ring on the opposite side. Then subtract 16 inches. That will give you a good estimate of the size of cinch to choose, because there should be about 8 inches of latigo between the saddle and the cinch buckle. For example, if the measurement is about 48 inches, you’d need a 32-inch cinch. Of course, these measurements are approximate. 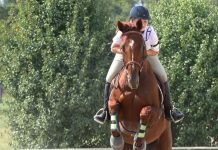 Variables include the thickness of your saddle pad, your horse’s length of coat (winter hair is coarser) and fluctuations in your horse’s weight. To aid in your decision making, the average western riding horse wears a 32 or 34 inch cinch. Fortunately, there is quite a bit of adjustment possible with a western cinch, thanks to the latigo and off-billet, so you can fine-tune the fit. Most cinches feature small metal dees where you might snap a breastcollar or tie-down. These rings should be lined up between your horse’s front legs. Too far off to one side and that indicates that your cinch is snubbed up too much on one side, placing your saddle off kilter. Just as important is confirming that the cinch isn’t rubbing against your horse’s elbow. That can happen if the cinch is either too short overall or improperly adjusted on one side. 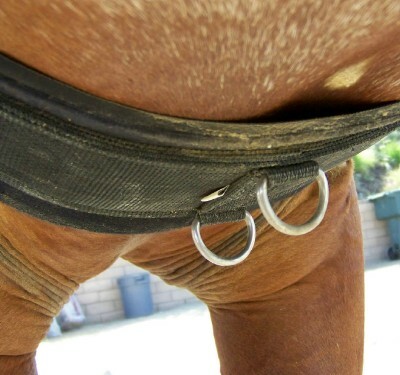 The heavy metal cinch ring should be above your horse’s elbow and allow plenty of freedom for movement. 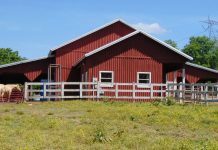 Otherwise your horse could end up with a painful abrasion that could take weeks to heal. It’s better to take a moment to check the fit of your cinch before you head down the trail. Well, it could be helpful. Thank you for the information………..No wonder why my saddle was tipping oooover the on side of my horse…….Thanks HC!!!!!! loved i got all the info i need now thanks! !